A set of four scripts from the fourteenth series of the long-running British TV comedy The Last of the Summer Wine (1973 – 2010). 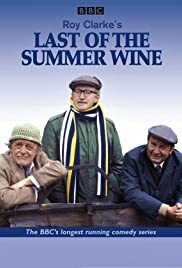 The series follows three old men from Yorkshire, who try to stay young and reminisce about their youth, much to the chagrin of their fellow citizens. 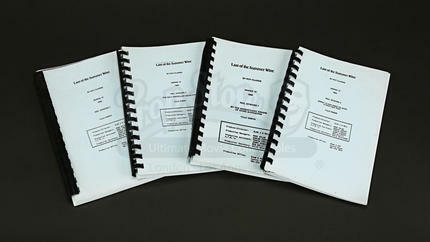 These four scripts are all for episodes from the fourteenth series, which was aired in 1992. 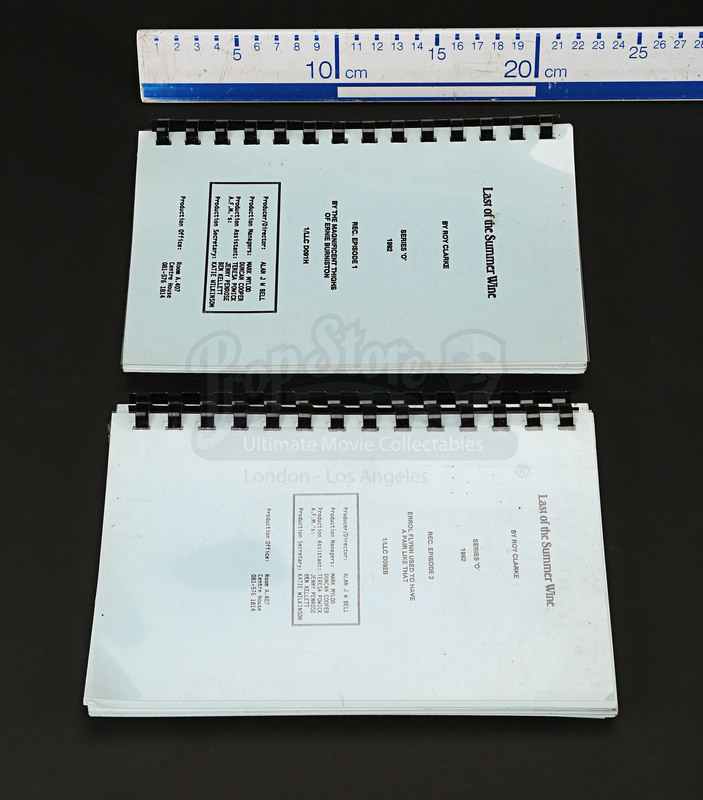 The episodes are ‘By The Magnificent Thighs of Ernie Burniston’, ‘Errol Flynn Used to Have a Pair Like That’, ‘The Self-Propelled Salad Strainer’ and ‘Who’s Got Rhythm?’. 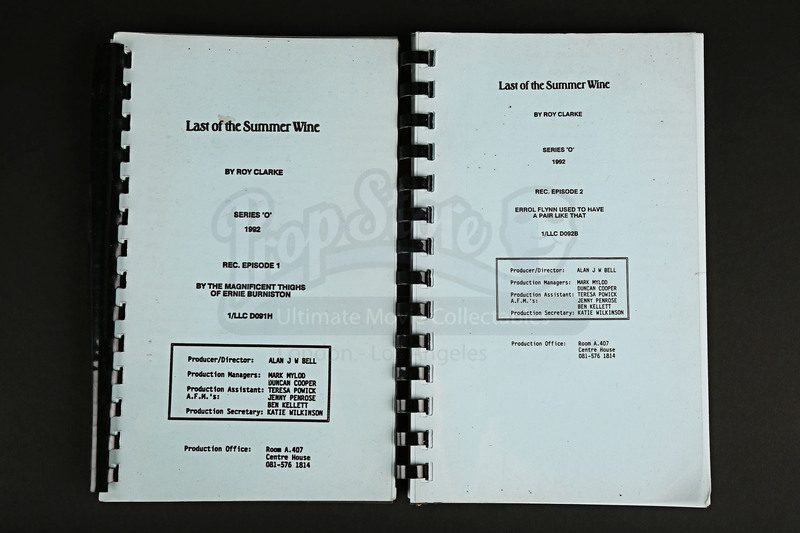 All four were written by series creator Roy Clarke and are printed on light blue paper with a clear plastic front and back cover. 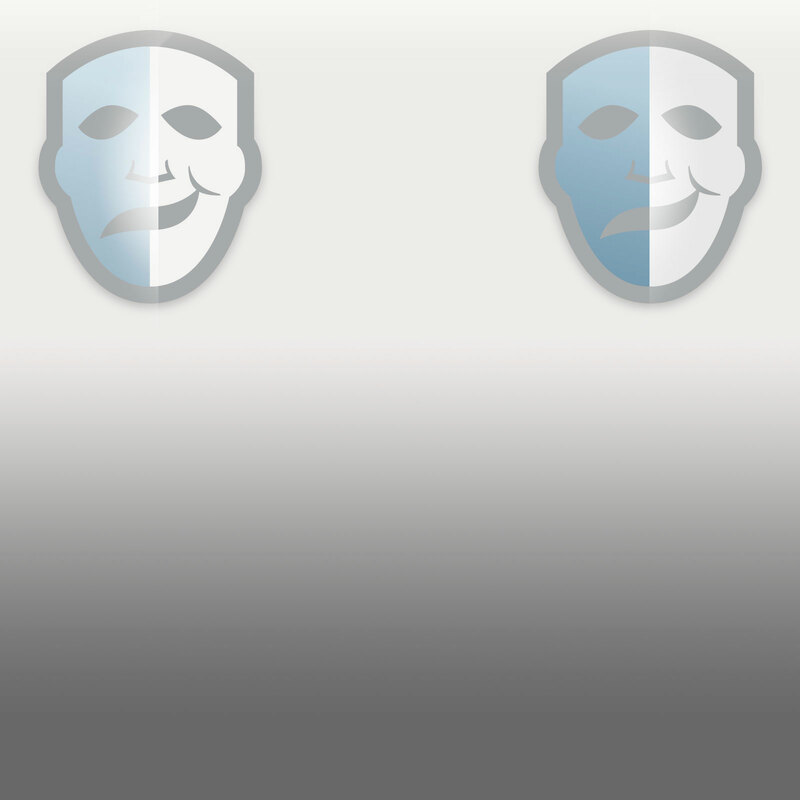 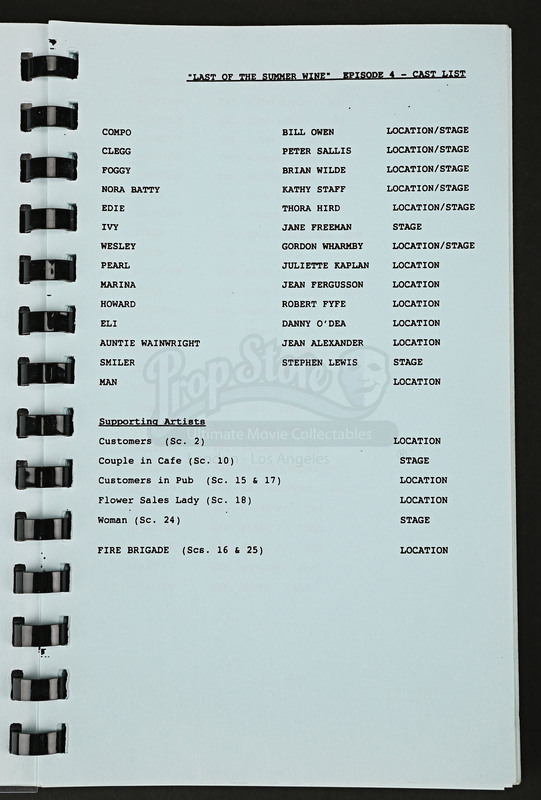 They all feature a plastic coil binding and each one also has a cast list, scene order and location listing. 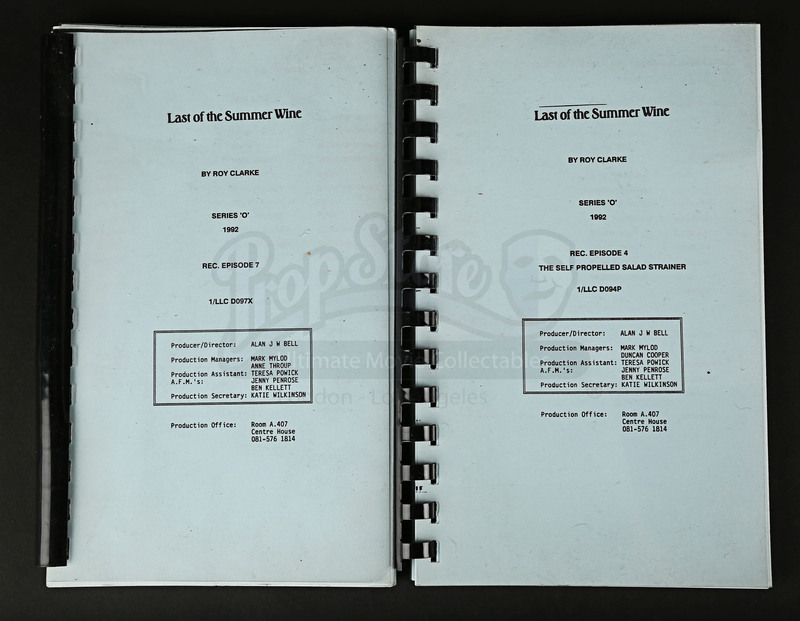 The scripts have some wear from production use and age, including minor creasing and staining, but they remain in an otherwise excellent condition.